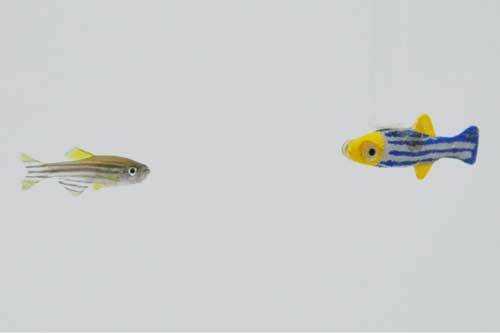 (Nanowerk News) Authenticity is an important trait, and zebrafish take it especially seriously. An interdisciplinary team of researchers at the NYU Tandon School of Engineering discovered that zebrafish engage more with 3D-moving robotic models of themselves than with other stimuli (Royal Society Open Science, "Zebrafish Response to a Robotic Replica in Three Dimensions"). "The fish, when presented with the choice between a static robot and one that was moving in 3D and beating its tail, preferred to spend time with the latter. This clarifies the important role motion plays in influencing zebrafish behavior," said Porfiri. "These experiments also significantly refined the robotic platform that enables consistent, repeatable tests with our live subjects."